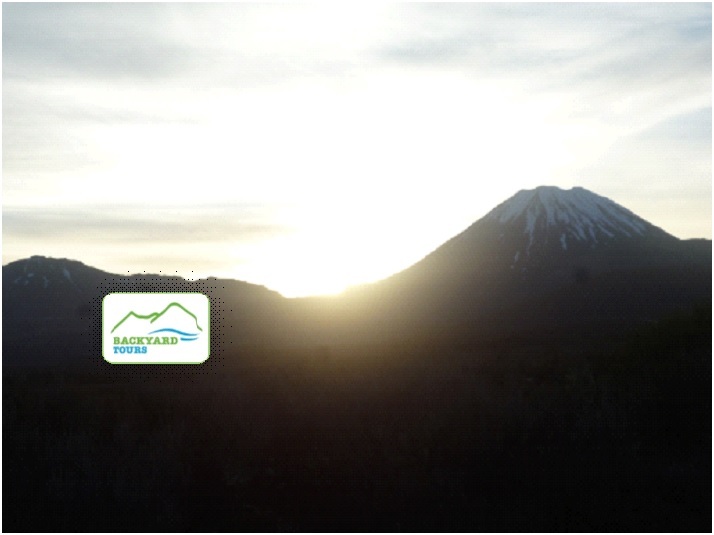 We offer a fantastic return journey to the heart of the Tongariro National Park departing from Turangi to Ketetahi, Mangatepopo or Whakapapa at 8.00 am (weather or customer demand could change but you will be informed) returning the next day of request at 1.00 pm respectively. Great when weather permitting days prevent you from hiking the Tongariro Alpine Crossing whilst your limitation of travelling days wanting to experience the adventures of the live volcanic outdoors OR to relax and take your time to enjoy the great outdoors of the Tongariro National Park. This service includes our unique 'Maori Cultural' experience, photography and FREE complimentary refreshment at the END. Secure your seat and Book NOW! The maximum capacity for our 2 x Toyota Hiace vehicles is 9 pax each. Be aware of the mountains live volcanic landscape. Be aware of the weather conditions. Think smart and be prepared. 1. Plan Your Trip (Seek local knowledge and plan the route you take and the amount of time you can reasonably expect to take). 2. Tell Someone (Tell someone your plans and leave a date for when to raise the alarm if you haven't returned). 3. Be aware of the weather (NZ's weather can be highly unpredictable. Check forecast and expect weather changes). 4. Know your limits (Challenge yourself within your physical limits and enjoy your experience). 5. Take sufficient supplies (Food & Water, 1st Aid Kit, Extra Clothing – no denim jeans, Sunscreen, Wet weather gear, Sturdy footwear, Headlamp). Please what you 'pack in' YOU 'pack out' environment friendly! • Turangi place of stay door to door transfer return. • No confusion on the State Highway roads getting lost or late. • No traffic worries and woes of parking or availability. • We drive you, sit back, buckle in, and relax. • Return transport transfer for safety responsibility and accountability. • Safety briefing of preparedness, awareness, and equipment. • Commentary with local knowledge and stories. • Maori Cultural acknowledgements and explained in English (2 minutes). • Team Photo FREE (via Social Media app’s and Website). • Walking Poles FREE use (less pressure on legs downhill). • Drink received at the end FREE (lifesaver). • New Zealand Department of Conservation Concessionaire Approved. • New Zealand Tourism QualMark Awarded Visitors Transport. • New Zealand Transport Association License TSL/PSL Approved. • Small family business established 2012 - Big on quality service. Your booking is confirmed upon availability, just like that. After you have booked if you have any special requests you can let us know via phone or email. Bookings are essential for your secure convenience - Book NOW!